In spite of recent worldwide financial and economic turmoil, Automobili Lamborghini S.p.A. has delivered another historically very strong year of sales during 2008. The Italian luxury sports car manufacturer increased unit sales from 2,406 to 2,430 units. This means a growth of 1%. The US market saw a decrease of 20.3% with 741 units sold instead of 930 the year before. The US share of worldwide sales decreased from 38.7 to 30.5%. In Europe, sales remained stable. While traditional markets like Germany and the UK showed relatively small single digit decreases, sales in the Italian homeland of the brand of longstanding tradition increased by 10% to 230 units sold. This sales growth pushed Italy into the position of second largest market in the world. Good performances were also recorded in France, which showed growth rates of 27%. The strongest growth rates were achieved in the Middle Eastern and Far Eastern Asian core markets. The Middle Eastern region achieved a sales increase of 66% from 100 to 166 units sold. In the Far East, China more than doubled its sales from 28 to 72 units sold with an increase of 157%. Additionally, Hong Kong and South Korea showed high triple digit growth rates of 120 units and more than 100%. The worldwide share of the Middle Eastern and Far Asian sales increased from 15.0 to 21.8%. "In the light of worldwide economic insecurities and sluggish car markets, this new record year above all proves the sustainability of our business strategy. We know that there are tough times ahead now, but we have increased the value and attractiveness of our luxury brand in so many facets that we are ready to take on whatever challenges the future might bring us", said Lamborghini President and CEO Stephan Winkelmann. With the youngest and most attractive product line-up in the company's 46-year old history, with one 'new' model launched every year, with the consistent expansion into new markets of the highest potential like the Middle East and Asia, Automobili Lamborghini has managed to show a strong above-market growth rate in recent years. The company's development marks one of the most respected turn-around projects in the automotive and luxury industries. Amongst other factors like a very positive brand image development the workforce has strongly increased in only four years. Long before approaching 2009, the company has taken decisive steps to be well prepared for volatility in demand. Production flexibility is made possible by cooperative concepts developed with the union representatives. Besides flexible working hours, it is agreed to also encompass the option to change work time into training and qualification projects. Lamborghini does not abandon its long-term strategy. Investment into R&D will not be reduced, as there will be ongoing expansion of the brand presence on a worldwide scale. The company sticks to its development of one new model each year. 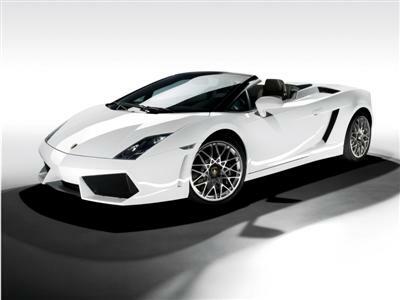 The latest example of this confidence is the announcement of the new Lamborghini Gallardo Spyder LP 560-4 (as shown above). Lamborghini is confident to become the most profitable luxury sports car manufacturer, the most attractive employer in its segment.